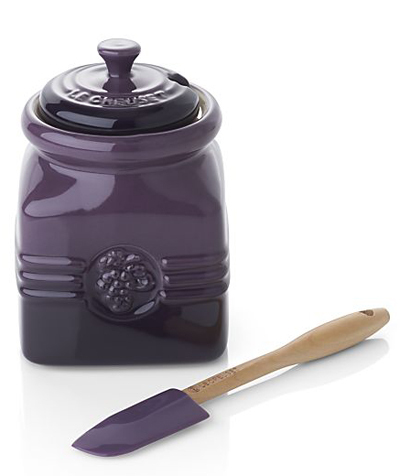 This charming stoneware Le Creuset Grape Jam Jar with Spreader features a beautiful berry relief design that recalls classic kitchen jars of the past. Updated with a silicone spreader with beechwood handle. $34.95. Buy here.